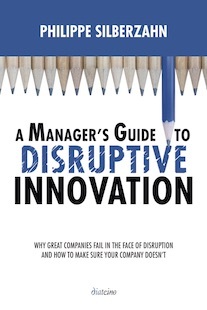 The opposition between radical and incremental innovation is one of the enduring themes of the innovation literature, both academic and managerial. While incremental innovation consists in improving existing products, radical innovation is about inventing completely new product, or more precisely new product categories. They are new to the market, but also to the firm that creates them. shows how incumbent companies take advantage of incremental innovation, which play on their strengths, but are disrupted by radical innovation. Names such as Kodak, NCR, Digital Equipement, for instance, come to mind when evoking the innovator’s dilemma syndrome. Initially, Christensen framed the discussion in terms of technologies, building on the S-curve framework, (introduced by Richard Foster) which describes the non-linear progression of a technology in terms of performance. In the beginning, the new technology – say the automobile – is less performing than the old one – say the horse – on the key dimensions (reliability, speed, simplicity for instance). But it gradually improves, slowly at first, then more quickly until the time it becomes more performing than the old one. At this stage, the new curve breaks past the old one and the old technology is abandoned. However, several counter examples showed that there were incumbent companies able to withstand a disruption by a radical innovation, and sometimes even thrive on it. IBM is a good example, having gone through at least five major radical changes in its environment (mainframes, minis, PCs, product to service, open source). The distinction between radical and incremental is therefore not a relevant categorization to explain why in some cases, incumbents fail and in others incumbents survive and thrive. 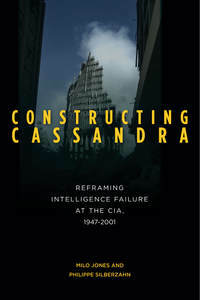 Later on, Christensen refined the theory and defined the issue in terms of sustaining versus disruptive innovation. By that he meant that what matters in a disruption is whether the incumbent’s business model can leverage the disruption or not. For instance, mobile telephony is really a radical innovation, a completely new category both to the users and to the operators. However, many competencies required to manage a mobile business are very close to those required to manage a fixed line network. In that sense, mobile telephony is not disruptive to the fixed telcos, but sustaining. This is why in most countries, the incumbent mobile operators are also the incumbent fixed line operators. If, however, the disruption is incompatible with the business model, then the incumbent is in trouble. This is the case, for instance, with SAP. SAP’s is in the business of selling very complex IT systems able to manage the complete business of large, global companies in an integrated way. A typical price tag runs in the millions of US dollars. SAP’s business model is a combination of license fee for the software and service fees (development, maintenance, training, etc.) In addition, an army of consulting firms live off this business by selling their own services. A few years ago, a disruption started to develop in the form of Web-based IT solutions, a typical leader being Salesfore. Because it is a pure Web solution, Salesforce is sold as a service (subscription) for a few dollars per month. Salesforce is certainly not as sophisticated as SAP, but for small and medium business it is good enough, especially because you can sign up and start using it in less than five minutes, and one doesn’t need any infrastructure or service provider. The real problem for SAP is that its market is saturated and it needs to grow, so the untapped market of small to medium business is appealing. So SAP wants to go downmarket. But Salesforce, being established in the low end of the market, also needs to grow, and by tapping the upper side of its existing market, it can get higher margins. So Salesforce improves its product. Hence the collision course between SAP, going down, and Salesforce, going up. The real problem, as Christensen remarks, is that it’s always easy to go up (same cost base, increased margins therefore very beneficial, and shareholders are happy) but very difficult to go down (same cost base, lower margins, reluctant sales people and partners, unhappy shareholders). SAP’s way to address the lower end market is to create a cut-down version of its product, but the motivation to sell it is not there. SAP could also create a clone of Salesforce (they actually have a Web version); the problem is not a lack of competencies. But the result would be the same. Put otherwise, SAP’s business model is not compatible with a lower end segment: customers are different, its sales force is not adapted to small sales, the distribution network is different, etc. As a result, SAP is locked into its existing business model, and cruises in a frenetic inertia mode, while Salesforce grows and grows, moving up in terms of segments. It’s unlikely that Salesforce will ever target very large, global companies, but it certainly will be very happy with the rest of the market, which probably represents 90% of the total. SAP will have been reduced to a high-end, highly profitable small niche, just like Apple was in the PC sector. Not a bad place to be, but certainly a missed opportunity to reach mass market.